This Law regulates the relations formed in connection with registration, protection and use of appellations of origin and geographical indications of goods (services). (e) Organoleptic characteristics – the characteristics of goods, the evaluation of which is carried out by means of human sense organs. (c) production, processing and preparation of which take place within the geographical area. (c) production or processing or preparation of which takes place in the geographical area. (3) If a traditional geographical or non-geographical name conveys an impression that goods originate from given geographical area, and the requirements of paragraph (1) are fulfilled, said name may be considered as an appellation of origin of goods. (4) By way of derogation from paragraph (1), as an appellation of origin may be considered the name of a geographical area where raw materials of the goods come from the area larger than or different from said geographical area, if: – the different boundaries of the geographical area and conditions for raw material production are determined; – there are inspection arrangements to ensure that those conditions are adhered to. (5) For the purposes of paragraph (4), only live animals, meat and milk may be considered as raw materials. (1) Appellations of origin and geographical indications shall be protected by registration at Sakpatenti or on the basis of an international agreement. (2) Appellations of origin and geographical indications of another country shall be protected on the basis of an international agreement. (3) The appellation of origin and geographical indication protected under the international agreement shall be registered at Sakpatenti. (e) is identical to the name of a plant variety or an animal breed, that is likely to mislead the public as to the true origin of the goods. 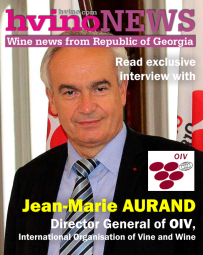 If an appellation of origin or geographical indication registered in Georgia, or any name of the geographical area of Georgia is identical to an appellation of origin and geographical indication protected in another country, conditions of protection and use of said indication in Georgia shall be determined by the respective international agreement. (1) An application for registration of an appellation of origin or geographical indication shall be filed with Sakpatenti by an applicant. 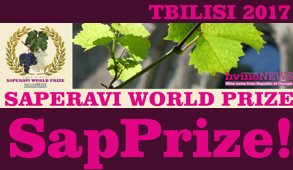 (2) The application shall refer to one appellation of origin or geographical indication. 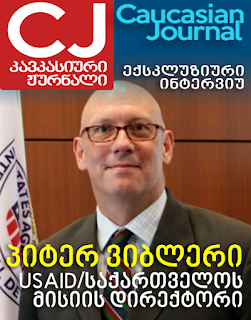 (3) The application shall be in the Georgian language. (l) signature of the applicant or his representative. (5) The documents and data provided for in subparagraphs (e), (f), (h) and (i) of paragraph (4) shall be prepared and confirmed in accordance with the legislation of Georgia. (1) Sakpatenti shall check whether the application complies with the requirements of Article 7, whether there exist the grounds for refusal provided for in subparagraphs (b), (c), (d), (e) Article 5 and shall perform the search on the databases of trademarks, appellations of origin and geographical indications. (2) If the grounds for refusal provided for in subparagraphs (b), (c), (d), (e) Article 5 exist, Sakpatenti shall take the decision not to continue examination of the application. (3) If the application does not comply with the requirements of subparagraphs (e), (f), (h) and (i) of paragraph (4) Article 7, the application shall be sent to the Ministry of relevant field for additional consideration. (4) If the application complies with the requirements of Article 7 and the grounds for refusal provided for in paragraphs (b), (c), (d), (e) of Article 5 do not exist, Sakpatenti shall publish the application materials in the Official Bulletin of the Industrial Property of Georgia (hereinafter “the Bulletin”), in one central and one local newspaper. (5) If within three months after publication of the application materials additional information is presented to Sakpatenti, this information shall be sent for consideration to the Ministry of relevant field. (6) If no information is presented within three months from the publication of the application materials, Sakpatenti shall take the decision on registration of the appellation of origin or geographical indication, shall enter its data in the Register and shall publish the data in the Bulletin. (d) full name and legal address of the applicant. (8) Registration of the appellation of origin or geographical indication shall be perpetual. 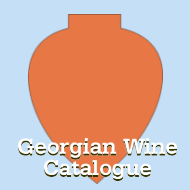 Fees fixed under the legislation of Georgia shall be paid for examination of an application for registration of an appellation of origin or geographical indication, entering changes in the Register, publication, issuing of the extract from the Register, also for other legal actions regarding the protection of an appellation of origin and geographical indication. 1. Natural persons and legal entities of Georgia have the right to submit an appellation of origin or geographical indication for registration in another state only after its registration in Georgia. 2. If at the time of registration of an appellation of origin or geographical indication at “Sakpatenti”, the applicant is a public authority or legal entity of public law, “Sakpatenti” is authorized to carry out measures necessary for the registration and protection in another state of an appellation of origin or geographical indication, which is registered in Georgia. (c) any use of such a name or any other sign, which is an imitation of appellation of origin or geographical indication, even in translation, or accompanied with such words as “type”, “style”, “similar”, “as produced in”, “method”, etc. (d) any use of an indication, which is misleading as to the origin, essential quality or features of the goods on the packaging, on an advertising material, or on documents relating to the goods. (e) any packaging or presentation of goods which may convey false impression as to its origin. (2) Where an appellation of origin or geographical indication contains the generic name of goods, use of that generic name shall not fall within the scope of Article 11. (3) The protected appellation of origin or geographical indication may not become generic. (1) Any natural person or legal entity, which prepares and/or processes and/or produces the goods in the geographical area respective to the appellation of origin or geographical indication and the specific quality, features and reputation of the produced goods are essentially or exclusively due to, or attributable to this geographical area, may file the application with Sakpatenti for acquisition of the right to use the appellation of origin or geographical indication. (2) Sakpatenti shall enter the information on the natural person or legal entity entitled to use the appellation of origin or geographical indication in the Register. (3) The right may be revised on the basis of inspection. The rule and periodicity of inspection shall be determined by the legislation of Georgia. (4) Use of the appellation of origin or geographical indication by the natural person or legal entity, which is not registered as a holder of the right, shall be prohibited. (b) due to changing or disappearing of natural or human factors, specific for the given geographical area, becomes impossible to produce such goods which would have the quality and features indicated in the Register. (2) Protection of the appellation of origin or geographical indication of a foreign country shall be terminated under the conditions of the international agreement. (1) If after filing with Sakpatenti of an application for registration of an appellation of origin or geographical indication, an application for registration of a trademark is filed with Sakpatenti and in result of the registration of the appellation of origin or geographical indication there will exist one of the conditions provided for in Article 11, pending of the application for trademark shall be retained until the decision on registration of the appellation of origin or geographical indication is taken. (2) If at the date of filing of the application for registration of an appellation of origin or geographical indication with Sakpatenti, the application for registration of a trademark has been already filed, but the decision on registration of this trademark has not been taken yet and in result of the registration of the appellation of origin or geographical indication there will exist one of the conditions provided for in Article 11, pending of the application for registration of trademark shall be retained until the decision on registration of the appellation of origin or geographical indication is taken. (3) If Sakpatenti takes the decision to refuse an application for registration of the appellation of origin or geographical indication, the examination of the trademark application retained under paragraphs (1) and (2) shall be continued, preserving the filing date. (4) If the use or registration of a trademark violates one of the conditions provided for in Article 11, action may be brought within 5 years from the day of the infringement of the rights in the appellation of origin or geographical indication or from the date of registration of the trademark, provided that by that day the trademark has been already published and that date is earlier than the date of recognition of the rights infringement. (5) If violation of one of the conditions provided for in Article 11 takes place by using of the trademark registered before the registration of the appellation of origin or geographical indication, the interested party may bring action claiming to cease the use of such a trademark within 5 years from the day of recognition of the infringement of the appellation of origin or geographical indication. In the case of disagreement among the parties the use of the registered trademark may be continued temporarily, but no longer than duration of the registration. (6) If the trademark is registered in breach of the requirements of paragraphs (1) or (2) of this Article, the registration of such a trademark shall be cancelled on the basis of court decision. (7) The registration of the trademark and its fair use shall not be terminated, if the registration took place before protection has been granted to the appellation of origin or geographical indication in the country of origin or before enactment of this Law, provided that coexistence of the trademark and appellation of origin or geographical indication does not lead the public into confusion as to the origin of the goods. (8) Article 11 shall not apply to the trademark used in a continuous manner for at least 10 years preceding April 15, 1994. (9) Taking into account the reputation of the registered trademark, its renown and duration of use, the appellation of origin or geographical indication shall not be registered, if such a registration leads the public into confusion as to the true origin of the goods. 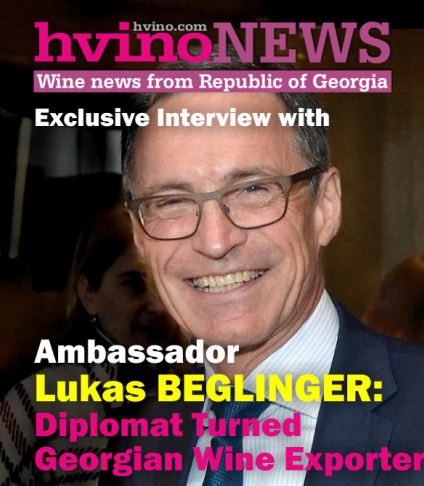 Infringement of the rights resulting from registration of an appellation of origin or geographical indication shall cause civil, administrative or criminal responsibilities under the legislation of Georgia. (d) destruction of all those labels, drawings, imprints, packaging, packaging materials and advertisements bearing the appellation of origin or geographical indication. (1) Within three months after enacting of this Law Sakpatenti shall draft and approve under the established rule the “Instruction on Procedures Relating to the Filing of the Application for the Registration of an Appellation of Origin and Geographical Indication with Sakpatenti, Its Examination and Registration”. (2) Sakpatenti together with the relevant Ministries and other offices shall draft and before October 1, 1999 submit to the President of Georgia for approval the Regulations on Determining of Geographical Area Boundaries Respective to the Appellation of Origin and Geographical Indication of Goods, on Studying, Determining and Control of the Link of the Respective Characteristics of Goods with the Geographical Area. 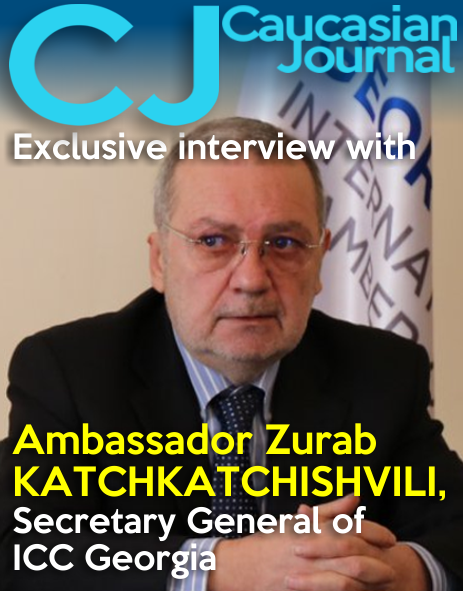 (3) Sakpatenti together with the relevant Ministries and other offices shall draft and before October 1, 1999 submit to the President of Georgia for approval the preliminary list of appellations of origin and geographical indications of goods produced in Georgia. (4) Before October 31, 2011 “Sakpatenti” shall ensure the compliance of the “Statute on Legal Entity of Public Law - National Intellectual Property Centre “Sakpatenti”, approved by the Resolution of the Government of Georgia №181 of July 3, 2010 “On Approval of the “Statute on Legal Entity of Public Law - National Intellectual Property Centre “Sakpatenti”, with Article 10 of this Law. This Law shall enter into force from November 1, 1999.